Creating personalized strategies for a better tomorrow. Any successful plan for retirement income needs a strong foundation that is why we developed the Four Pillars of Financial Success™. 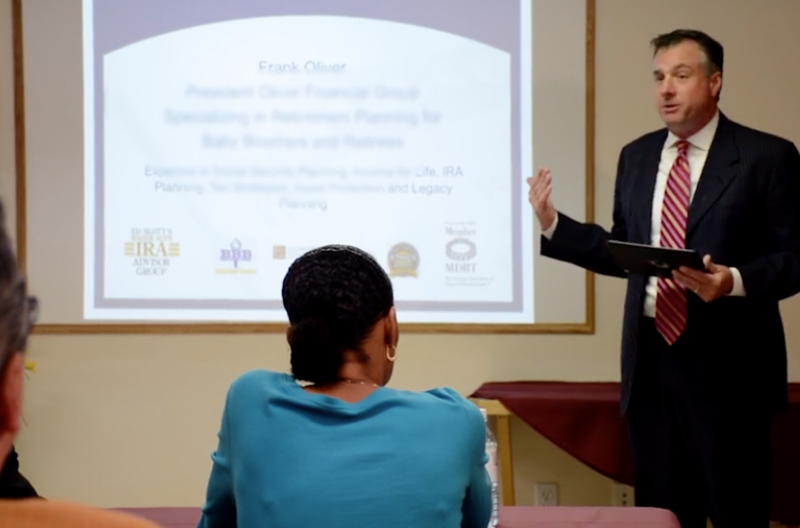 Oliver Asset Management offers complimentary Retirement Income Planning Workshops for the public as well as a variety of both informational and social events for our clients. Oliver Asset Management is a boutique firm providing customized strategies for retirement income. We strive to keep clients satisfied by utilizing the most-current retirement planning techniques, including: income planning, tax planning, asset protection and legacy planning. Frank Oliver is a member the nation’s most exclusive group of advisors — Ed Slott’s Master Elite IRA Advisor Group™. To be a member of Ed Slott’s Master Elite IRA Advisor Group™, an advisor must meet the educational requirements and make a commitment to continue their IRA training with Ed Slott and Company. This training involves multiple live sessions as well as on-going instruction throughout the year from Ed Slott and his team of IRA Experts which means that Frank has access to the most up-to-date research on IRA transfers and minimizing tax erosion for his clients and their heirs. The Foundation for Financial Education is a 501(c)3 non-profit organization dedicated to providing free educational resources to the public. Founded in 2009 as a result of an urgent need to eliminate financial illiteracy, F3E has helped thousands of individuals become more fiscally fit by understanding financial pitfalls that they may encounter in their everyday lives. Local industry experts contribute their time and expertise to conduct, financial workshops to companies, churches, municipalities, and non-profit organizations at no cost. F3E workshops are considered to be informative, entertaining and educational. Download the Foundation for Financial Education Whitepaper Guide.